Business Academy for Young Talent is set up for business programs organized to offer a unique opportunity to top-tier college students in China to develop themselves on a truly international platform. With integrating business disciplines in commerce, finance and business management, participants are enhanced with multi-disciplinary competence. Lectures will be delivered by world-class scholars at CUHK and seasoned speakers from leading firms. Class size is limited to 35 - 45, which fosters in-depth lecturers-participants relations. The interactive approach encourages participants to speak up in discussion and exhibit leadership confidence. With the corporate visits and intensive learning experience, the program prepares the participants for further education and career development. Participants are ideally positioned to become tomorrow’s standout business leaders. 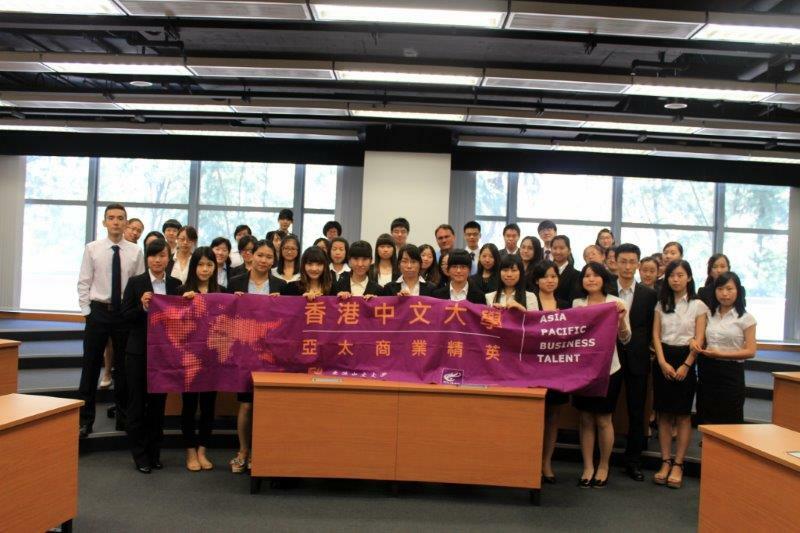 The Asia-Pacific Business Talent Exchange Program is developed by CUHK-APIB and Looker Education. For further information about this program, please refer to http://www.lookerchina.com/cuhk/index.html. The Asia-Pacific Business Innovation Program is to cultivate the entrepreneurial thinking and to thrive innovative spirit of the next generation of entrepreneurs.